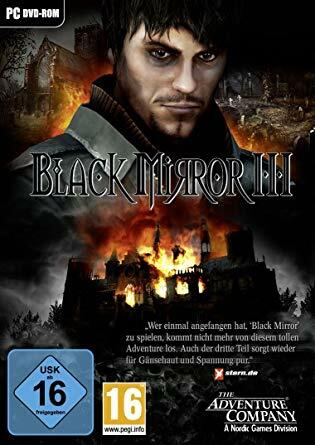 Black Mirror III was very obviously built on the same engine and using many of the same resources as Black Mirror II; this is fair enough for a game which came out a couple of years after its predecessor, and since the two games’ stories are very closely interlinked (indeed, they’re really two halves of the same story) that’s appropriate enough. Some locations are recycled from II or are spruced-up versions of locations from the original, but there’s also ample new locations – as well as some areas re-drawn when they could have taken the lazy path and reused the backgrounds from the previous game for them; there’s also a brace of new characters who make natural additions to the cast, along with returning characters from the previous games. On the whole, the new additions help the game accomplish the careful balancing act it must perform between, on the one hand, throwing in so much new stuff that they’re clearly pulling ideas out of thin air and the story now longer feels like it smoothly follows from the previous games and, on the other hand, being so reliant on what’s come before that it feels like yet another retread of over-familiar material. There’s a couple of points where the backtracking involved risks the latter fate, and the game ending (on which more later) starts leaning towards the former pitfall, but for the most part it kept up my interest long enough to more or less work. That said, the gameplay this time around is beginning to flag. Whereas in the previous games you usually had a solid idea of what needed to be accomplished – the trick was always in sussing out how to actually accomplish it – here your goals are a bit less specific, and it’s a bit less apparent how you’re supposed to go about pursuing them. (Indeed, there’s at least one instance where you’re obliged to do something which seems to fly in the face of your main agenda – that of clearing your name.) There’s some help at hand from the game’s diary system, inherited from the previous game, but it feels less useful this time around – in particular, the neat distinction between “story so far” summaries and descriptions of tasks to accomplish has been abolished, which I think is to the diary’s detriment. Whilst none of the puzzles are flat out illogical, there’s some instances where an apparently obvious solution seems blocked off for no reason. Here’s an example: there’s a well you uncover on the castle grounds at one point, and looking down it you see that there’s a ledge which has something important-looking on it. Nearby, there’s a ladder – but Darren won’t pick up the ladder and try to use it to get to the ledge. It wouldn’t take much to stop this seeming incongruous – a one-off line about how the well shaft is too narrow to get the ladder down would be enough – but there’s nothing, which suggests that nobody’s reviewed the game with an eye to pointing out situations like this – something I suspect did happen with the previous games, since they tended to be quite good at avoiding such situations. The writing also feels a little thinner this time. With Darren’s goals in the previous games having gone down in flames, and with the continued tendency of adversarial characters to talk like B-movie stock villains, the characterisation as a whole seems much shallower. In the last segment of the game you get to control two characters, but this feels a bit too late in the story to introduce this mechanic and I feel like the plot structure could have done with work to give you some earlier opportunities to play as the character in question. This is particularly evident since the last chapter of the game feels like the weakest. Padded out with annoyingly obtuse puzzles, it also thrashes around a little to find some way to bring the story to a close, and decides to do so by introducing at last the actual Black Mirror which we are supposed to believe the castle is named after. 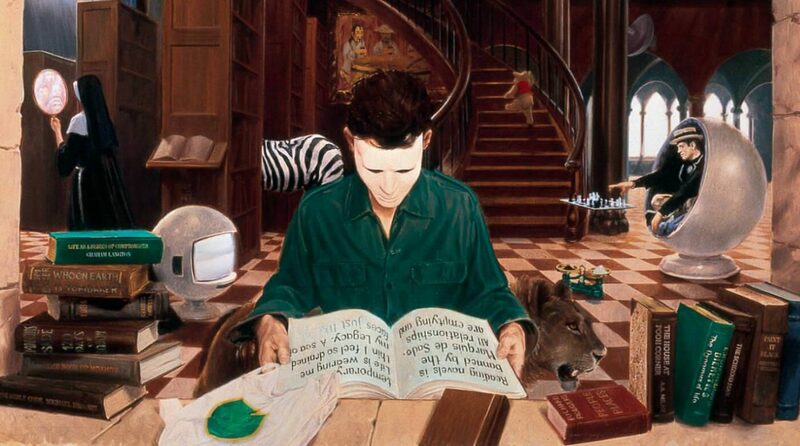 The climax relies on a complex distinction between souls and shades and reflections in the mirror and who’s more powerful in what dimension and so on and so forth, and it just isn’t very convincing. The game tries to explain this cosmology to you over and over again, but it feels like not even the writers entirely have a handle on how it works; at best, the whole thing just seems tediously overexplained, robbing it of that crucial sense of mystery that’s so important to horror, and at worst it’s just horribly confusing. Either way, it feels like this whole mystical underlying metaphysic that’s pulled out of thin air just for the final chapter of this game, and the last chapter of a trilogy is entirely too late to do a substantial new tangent of worldbuilding.